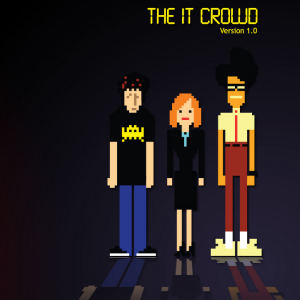 Despite the influence of the IT Crowd however, there are still drawbacks to being an “IT guy” (apologies to all the IT girls out there – I mean “guy” in its possible broadest sense). The IT guys are expected to do every single related computer job and their complaining colleagues are often the cause of their own misfortune (“I downloaded “hotnakedbodies.exe” from an unwanted email attachment and now my computer is riddled with viruses! This is all your fault!”). Today’s infographic, shows some of the woes an IT person has to go through, from stereotypes to crazy colleagues. Are you an IT professional who can identify with some or all of these? If so, tell us your crazy IT guy stories in the comments below. And as a treat, for those of you who have yet to experience the delight of an IT Crowd episode, here is a clip from YouTube. Enjoy. Explore more about: Infographic, Tech Support. Wow...i know too many of these people. Life is rough in IT. :( Same here. True that. One of the most tiring questions IT guys (and gals) have to ask (at least in our office) is "Have you plugged it in?" after being called up from the executive suite and being berated that the computer was alright yesterday and today it doesn't work. The usual response is " Oh! It's alright now!" hilarious being an IT guy! I spent probably half an hour adressing a "cannot login" problem where the user insists that the password has been changed by someone. not to mention that she was looking at me suspiciously during the time I explained to her that an administrator does not know the users password and does not intent or care to do so ever. after half an hour of nearly shouting to each other she suddenly stopped and quietly admit that she did change her password some days ago and forgot about it. no apology though! Anyone in help desk support ever get the call "the internet is down" or "I can open this email attachment" Clients work is hell sometimes but it can be rewarding to learn to technologies and hardware/software. If you like this infographic, you should check out Clients from Hell on tumblr. It more or less focuses on the web designer side of things but it's really relatable when you have to explain to someone that no, email does not send messages to your physical mailbox. being the IT guy in my company this is beyond true. I love that show. fun read for anyone who works in IT. one of our costumers asked how to run a back up. then attach it to an email. in the same token called to say her computer would not power on, asked her to plug the power source into the wall outlet, she turn around and ask what is a power source. called a day later saying her internet isn't working came to find out the cat5 cable wasn't plug into the laptop. Oh man its so true. This is a very true document. Makes me laugh, I have one of each of these types in the office. Being an IT Professional I have seen many of the aforementioned example situations. One of my most entertaining was probably when a client called in regards to their email not syncing. When I arrived on site to assist them it turns out their were talking about their text messages on their iPhone and they wanted to know why they were not being displayed in their outlook inbox! I was myself an IT helpdesk guy I know exactly how it feels to be one.